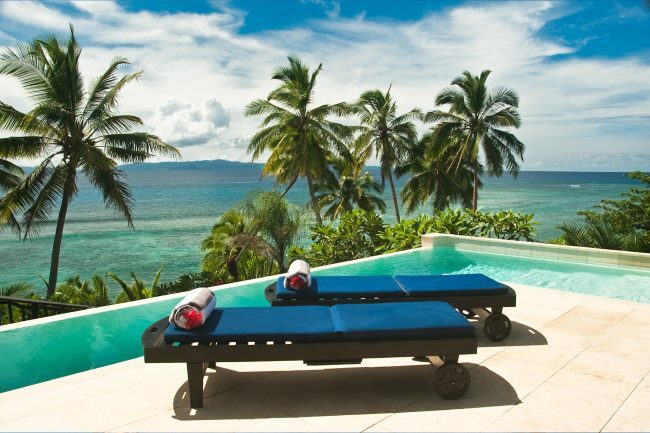 We love everything about Fiji. The gorgeous sunsets, the relaxed pace of life, and so many idyllic islands that all seem to have a hammock with your name on it. But mostly, it’s the smiles and friendliness of the place that stay with you long after the tan has faded back home. The ubiquitous greeting of ‘bula’ – Fijian for hello – rings out wherever you are in this island paradise and wraps you up in its warm, infectious glow. Fijians are just so happy you instantly forget all your stresses and woes. In 2017, the annual Gallup International Survey on Happiness, Hope and Economic Optimism, made it official, anointing the island nation the Happiest Country in the World. Tourism Fiji also recently released its first Bulanaires List; a global list of individuals who are rich in happiness. “Bulanaires redefines the way we measure success,” said Professor Lea Waters (PhD), a psychologist, scientist, author and TEDx speaker who specialises in positive psychology, who helped compile the global line-up. Below are seven guiding principles for happiness that have been developed by Professor Waters based on two decades of science from the field of Positive Psychology. These principles can be adapted into your everyday life and can be used by you to build your own wellbeing and the wellbeing of the people you care for. Did you know that when you care for others, are kind to others and give to others it boosts your immune system and lifts up your mental health? Beyond the benefits to you, giving and sharing create stronger connections between people and communities and helps build a happier society for everyone. There is a deep sense of satisfaction from working towards the common good. Whether this is within the local community, the environment, animal welfare or healthcare, the inward feeling is a deeply felt selfless happiness when people are giving and open to sharing, despite what they may or may not have. Fijians will give, even when they don’t have much to give. We are social creatures at heart and relationships are the most important contributor to happiness. Amongst the global epidemic of loneliness, Fiji stands out as a country that prioritises connection. Feeling part of a close family and community is at the heart of Fijian culture and the traditional village lifestyle is alive and well in Fiji. Fijians remain connected with one another and their extended families in a way that many developed countries have lost. When we try new things in life and allow ourselves moment of fun, it expands our horizons and gives a new way to see ourselves and the word. Fiji is full of adventure, whether it’s riding a wave at Cloud Break, reeling in a big fish, diving among coral or cheering on the Fijian 7s team, Fiji is home to an abundance of fun, adventure and activities. Staying active is a guaranteed pathway to enjoying daily life and keeping your mind and body connected. This doesn’t have to be strenuous, it can be as simple as learning a new skill with friends like dancing, singing, sudoku, or fishing – again something which is intrinsic in Fijian daily life. Fijians are always laughing and joking, they are quick to smile and share light-hearted moments with friends and strangers alike and they maintain a positive outlook, with emotions such as joy and contentment, even during traumatic events in life. When you laugh it pumps oxygen into your lungs, it triggers your nervous system to relax and it changes your brain chemistry. More than that, laughter connects people together, it’s contagious – like a positive yawn! 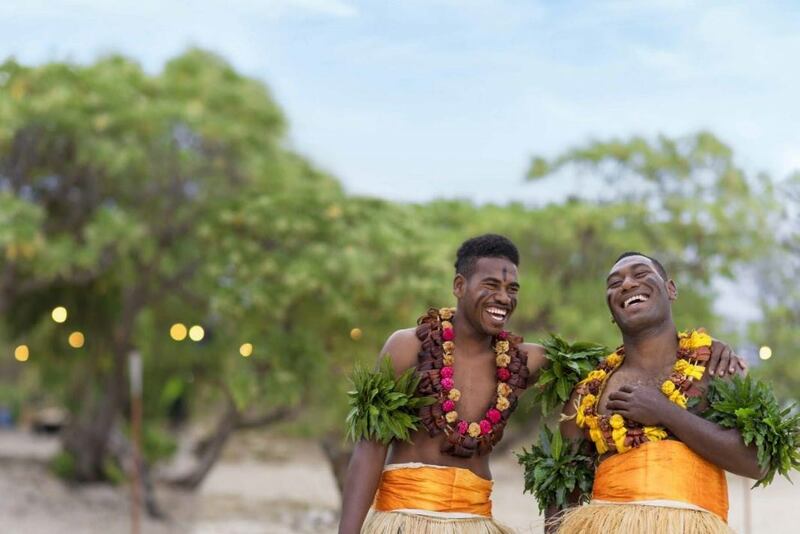 It’s never hard to get a Fijian to laugh, they have resilience and don’t sweat the small stuff; humour is a key currency for creating happiness in Fiji and Fijians have a light-hearted way of using humour to lift your spirits. While it is not always easy to respond to big life events with positivity, Fijians’ humorous and positive approach, gives them a bigger perspective on life which allows them to take challenge in life’s stride, connect with others and boost their happiness. Research has shown that savouring life’s small pleasures builds up your happiness over time. You can savour many small moments in your day and if you can get out of the city for a bit, nature gives you abundant things to savour. Fiji’s deserted beaches, idyllic sunsets, crystal clear waters and serene vistas help to remind you of the simple pleasures of relaxing. When we appreciate the simple things in life it orients us towards the positives. Fijians have abundant things to appreciate. They do not compare themselves to others and the rest of the world, choosing to enjoy what they have, rather than yearn for what they don’t have. Learning to appreciate life’s pleasures increases enjoyment in life and our overall wellbeing. Fijians are blessed with a simple life, not rich in architecture or the latest gadgets and material goods, but rich in natural beauty and serenity that the rest of the world searches for. Learning to be more mindful does wonders for your wellbeing. In fact, being mindful changes your brain chemistry for the better. It can be for something as simple as taking in the pleasures of the walk to work, savouring the aroma of coffee, enjoying a meal with family or appreciating our relationships. Not worrying about tomorrow and relishing the positives of life are a universal Fijian philosophy. Fijian people are happy and make others feel good because of this infectious ever-present attitude. Following the Fijian philosophy, being present and aware of what we enjoy each day, can help us get in tune with our feelings and stop us dwelling on the past or worrying about the future. Science shows us that taking a break – whether it’s for five minutes or five days – recharges your brain, relaxes your nervous system and reconnects you to what’s meaningful in your life. When we step away from ‘task mode’ our brain is activated in different ways and we give it time to unclutter itself so that our view on life becomes clearer and simpler. Much of Fijian happiness is because they disconnect from the rest of the world, worrying less about bigger negative issues, thus reducing stress and allowing them to enjoy being in the moment and give their life meaning. It is not always easy to be removed from crowds and pollution, but trying to find time for oneself away from the cities every now and then to disconnect and slow down, can benefit wellbeing. Fiji is located in the heart of the South Pacific, far away from the complications of global issues, media, crowds and Fiji is paradise because it is without so many of the pressures that can be seen as a negative in the developed world, and Fijians are proud of their paradise, working with each other to keep their environment beautiful and clean.